We’ve all heard of the classic bags. The Chanel Flap Bag, The Louie Vuitton Speedy, the Hermes Birkin…the list never ends. While those glamorous bags will always be world renowned, there are a few new classics taking the fashion scene by storm. This Alex Wang creation is made of buttery leather, and is adorned with sculpted studs perfectly placed at the bottom of the bag. This perfect sporty-chic duffel can carry all of your essentials and still look badass. The only downfall? It’s a tad bit heavy. I think I could deal with it. One of my best friends just adopted this bag into her collection, and I must say that I may have fallen in love. This bag is constructed of pebbled leather, helping to make the bag a little bit more scratch proof, which is a good idea for any investment piece. With perfectly placed hardware and a detachable cross body strap, how could you go wrong? 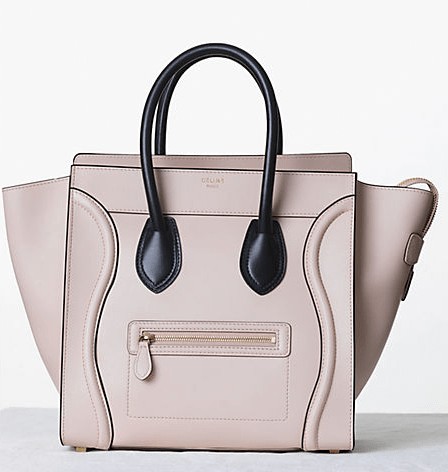 The bucket shape of this bag makes it perfect for the everyday city chic. I held this bag for the first time while shopping with my boy crew at Barney’s, and instantly realized how stupid I was for over looking this bag in the past. The monograms are discreetly placed near the handles, and the stitching is impeccably done. The craftsmanship in this bag is anything but ordinary. A few years ago, this bag popped up on every socialite, celebrity, and editor at fashion week. Not long after, insanity ensued and you cannot walk down the street without seeing someone with it slung over their arm. This bag comes in a great variety of materials; from suede to leather, and the inside is practically lined. This bag is the epitome of elegance, and can hold everything. Probably a small child. The stiff leather helps to make it super durable, while the suede inside protects from God knows what you might be throwing in there.